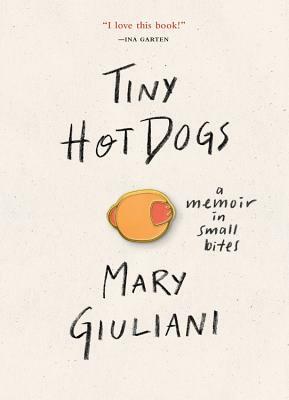 From awkward schoolgirl to Caterer to the Stars, Mary Giuliani weaves together a collection of hilarious memories, from professional growing pains to her long journey to motherhood, never losing her sense of humor and her love for everyone's favorite party food, pigs in a blanket. Mary's utterly unremarkable childhood was everything she didn't want: hailing from a deeply loving yet overprotective Italian family in an all-Jewish enclave on Long Island. All she wanted was to fit in (be Jewish) and become famous (specifically a cast member on Saturday Night Live). With an easy, natural storytelling sensibility, Mary shares her journey from a cosseted childhood home to the stage and finally to the party, accidentally landing what she now refers to as "the breakthrough role of a lifetime" catering to a glittery list of stars she once hoped to be part of herself. Fresh, personal, and full of Mary's humorous, self-deprecating, and can-do attitude against all odds, you'll want to see where each shiny silver tray of hors d'oeuvres takes her next. You never know when the humble hot dog will be a crucial ingredient in the recipe for success, in building a business or simply making life more delicious. Mary Giuliani is an author, party and lifestyle expert, and founder and CEO of Mary Giuliani Catering and Events. Mary has appeared on The Barefoot Contessa, The Chew, The Today Show, Good Morning America, Moltissimo with Jimmy Fallon, and is a regularly featured guest on The Rachael Ray Show. Mary's first book, The Cocktail Party (Eat, Drink, Play, Recover) came out in 2015. A graduate of Georgetown University, Mary resides in New York's Chelsea neighborhood and Woodstock, New York with her husband Ryan, and daughter Gala.